THQ Nordic announced last night that they have acquired Wreckfest developer Bugbear, as well as Goat Simulator developer Coffee Stain, as well as acquiring all of their intellectual properties. So the company that brings you Saints Row, Darksiders, and Biomutant is also now the owner of physics-based goat simulation titles. 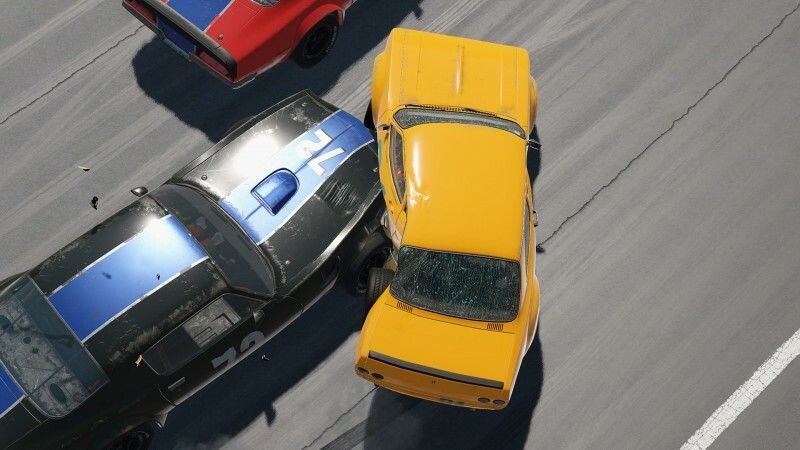 The Helsinki-based Bugbear has previously been known for working with Bandai Namco on Ridge Racer Unbounded and has been developing indie racing title Wreckfest since a failed Kickstarter campaign for the game in 2013 when it was called Next Car Game. Coffee Stain Studios is a Swedish developer with a wide variety of game types under their belt, like FPS tower defense Sanctum and upcoming building game Satisfactory. THQ Nordic’s strange acquisitions seem to be keeping the eclectic publishing spirit THQ, which is almost wholly unrelated to the company that now bears the same name, alive. The publisher’s next original project is Darksiders III, developed by a studio primarily made up of ex-Vigil staff, releasing on November 27 on PlayStation 4, Xbox One, and PC.